Wow, time flies when I'm not looking! I knew I had skipped a weekend, but not 2 weekends! I made this recipe at least two weeks ago, possibly during the first week of May because I know Easter made me think of lamb recipes. I modified this leg of lamb with prunes recipe from A Year of Slowcooking mainly by swapping in lamb shanks and adding more veggies. Even though it was just me, I ate all four servings and didn't freeze a bit! In a small dish, mix dry spices. 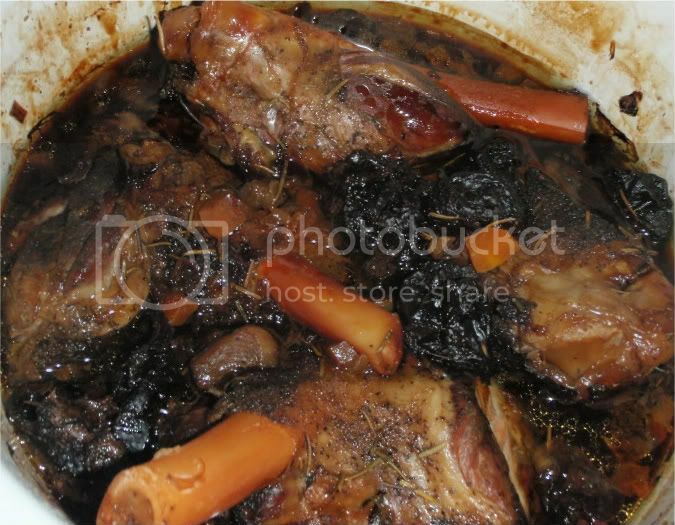 (Optional) Brown lamb shanks in olive oil in a skillet. Place chopped veggies in the base of the slowcooker. Sprinkle with a small amount of spice mixture, maybe 3/4 tsp. Rub lamb with remaining spice mixture. Arrange in a circle over veggies. Try not to stack them, if possible. Toss in prunes and pour in liquid. Add cinnamon stick. Cook on low for 8 hours or until tender. Mine we perfect after 8 hours of cooking time and several hours on warm because I got home super late from work that day. 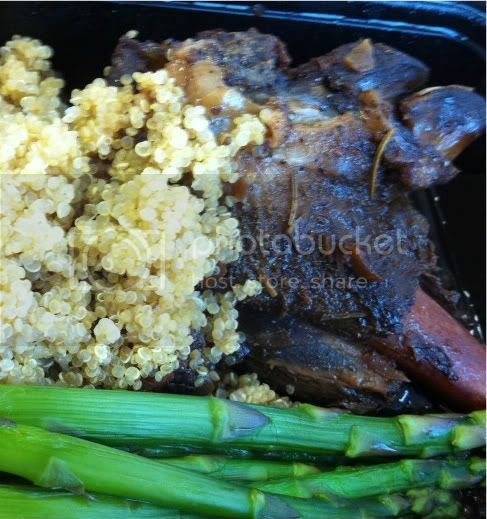 Serve with couscous, quinoa, or just some nice crusty bread.